The Social Democratic Party wins a plurality in a legislative election in the Czech Republic, but its leader Jiří Paroubek resigns citing a poorer-than-expected result. The election saw a loss of support for the Social Democratic Party (ČSSD), although they still received the highest number of votes. The conservative Civic Democratic Party (ODS) and TOP 09 followed in second and third, while the Communist Party finished fourth. Social Democrat leader Jiří Paroubek resigned after the election, conceding that a conservative coalition government appeared likely, with the rise of two new right-wing parties—TOP 09 and Public Affairs. Omar al-Bashir, the president of Sudan, has been sworn in to another term after winning the country’s recent polls, which were largely boycotted by the opposition. The inauguration ceremony, attended by multiple African leaders and two diplomats from the United Nations, was held earlier today. A reporter for the Al Jazeera news agency described the event as being primarily “a gathering of African leaders”. Hong Kong’s by-elections, triggered by the resignation of five legislators, Wong Yuk-man, Tanya Chan, Leung Kwok-hung, Albert Chan and Alan Leong, will take place today. The five legislators left the Legislative Council earlier this year in protest of the government’s indifference towards universal suffrage and the abolishment of functional constituencies. The elections started at 07.30 (23.30) local time today, and are due to end at ten o’clock tonight. Results are expected to be released tomorrow morning. Andry Rajoelina, the leader of Madagascar has announced that he will not run in elections due to be held later this year. He stated his reasons as an attempt to end the country’s political crisis. Rajoelina has been pressured to find a solution to the crisis. 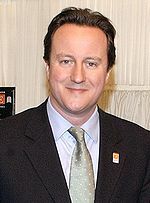 David Cameron was today appointed the new UK Prime Minister. This follows five days of negotiation after the May 6 general election resulted in a hung parliament. While the Conservative Party won the largest number of seats, they lacked enough for a majority government, and will consequently form a coalition with the Liberal Democrats, who took the third-largest number. In the agreement, Nick Clegg, Liberal Democrat leader, becomes Deputy Prime Minister. 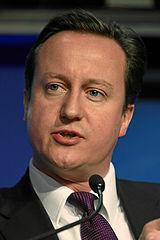 Cameron, at 43, is the youngest prime minister since Lord Liverpool in 1812, and had only been a Member of Parliament for nine years prior to taking the most senior political office in the country. In the latest developments in discussions between the Liberal Democrats and the two largest parties, Gordon Brown has announced his resignation as Labour Party leader and Prime Minister. Gordon Brown made his statement at 5.00 pm local time in front of 10 Downing Street, London, and follows a meeting he had yesterday with Nick Clegg, the leader of the Liberal Democrat Party. Results indicate there will be a hung parliament, where no party obtains the simple majority needed to pass legislation on its own, raising the prospect of a minority or coalition government being formed, which would require cooperation between parties. With only one constituency not yet counted, David Cameron’s Conservatives have taken 306 seats, incumbent Prime Minister Gordon Brown’s Labour party 258 seats, and Nick Clegg with his Liberal Democrats with 57. Cameron has said he will negotiate with the latter party to try and form a coalition to attain more than 325 seats, or half those in the parliament. After Labour’s large losses at the polls yesterday, both in terms of seats and votes, Cameron said Brown has “lost his mandate to govern”. Clegg, meanwhile, says he thinks the result allows the Conservatives to try to form a government first, contrary to past tradition, under which the incumbent prime minister and his party in a hung parliament try first to form a coalition.